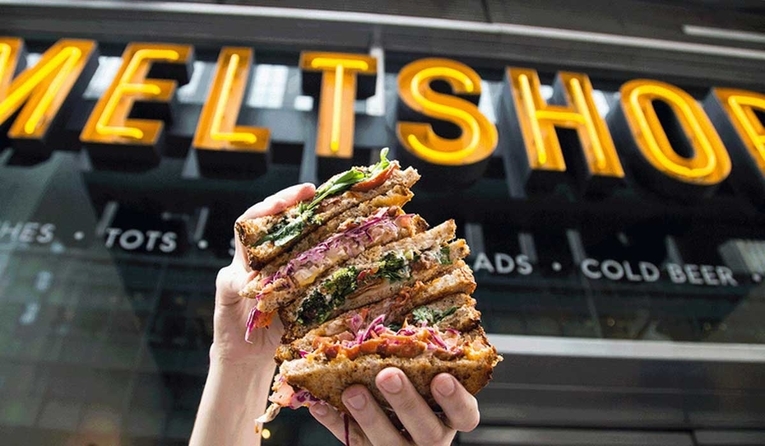 Melt Shop will be bringing its signature melted sandwiches to John F. Kennedy International (JFK) Terminal Five and the main food court at Pittsburgh International (PIT) this year as part of a new partnership with Skyport Hospitality. Melt Shop, best known for grilled cheeses, chicken melts, burger melts and sides such as tater tots, has been aggressively franchising in recent years, but the deal with Skyport Hospitality marks its first foray into airport concessions. Skyport Hospitality has operations at airports in Denver, Pittsburgh, New York, Cleveland, and Nashville and indicates additional Melt Shop opportunities are being explored.